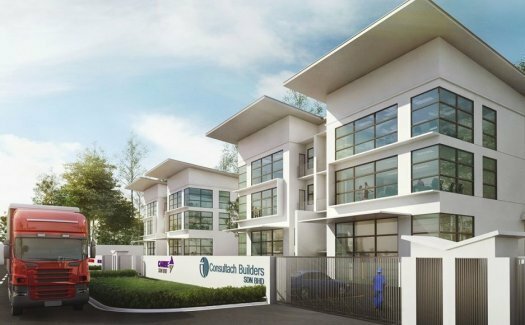 This industrial building development spreads across 13.7 acres of land in Section 22, Shah Alam comprising 33 link industrial building and 16 semi-detached industrial building. The units have wide frontages and offer built-up areas area in the range of 5,437 sqft and 5,928 sqft. Furthermore, Gravitas offers dedicated space designed to handle every key stage for business success – manufacturing, trading, import & export, logistic & warehousing companies, which appeal mainly to SME businesses and upgraders that require medium sized built-up area and investors alike. The unprecedented flexibility of the development allows flexibility in customization of space, integrating Showroom/Office, Warehouse and Factory based on business and operation requirements. Businesses can also expect close to air, land and sea facilities and turn continuous traffic into ample opportunities. 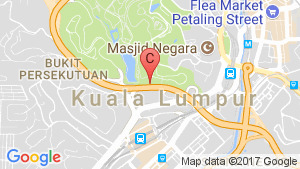 Surrounded by all well-established MNCs and a well-planned industrial area, Gravitas is situated next to major expressways such as LDP, ELITE, Federal Highway, KESAS and LKSA which offers hassle-free ease of accessibility for operations. 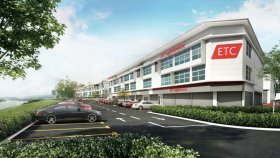 Gravitas is a commercial project developed by Potensi Rajawali Sdn Bhd, Gravitas at Kuala Lumpur has the following facilities: parking. 3 Storey Semi-D Industrial Building. 3 Storey Link Industrial Building.